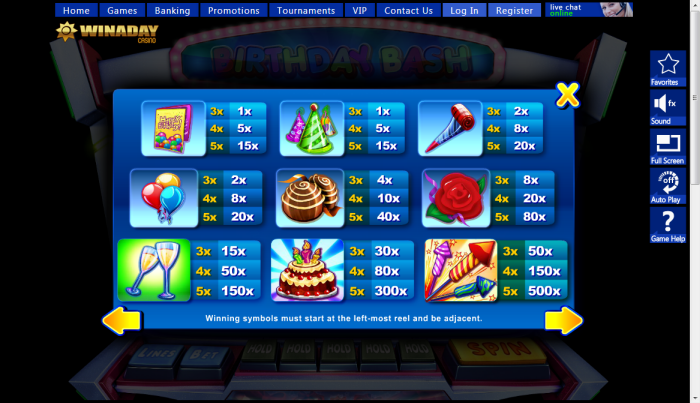 Overview: Birthday Bash online slots real money game is a very popular addition to the existing slot games at Win A Day's instant play casino, the popular online gaming site. 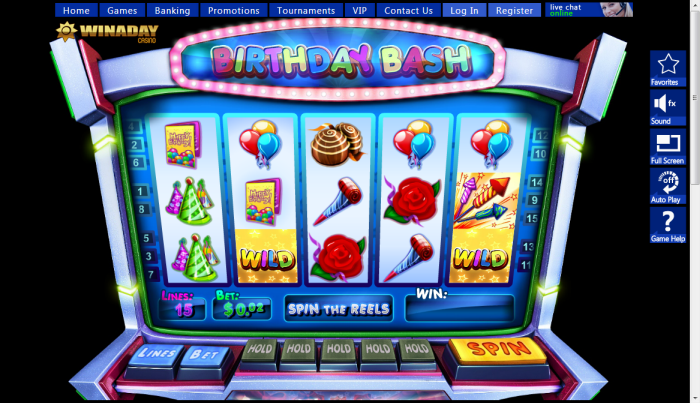 It is a 5 reel slots game with 15 paylines, featuring a fun hold button which increases your chances of winning and lets you influence your gameplay. 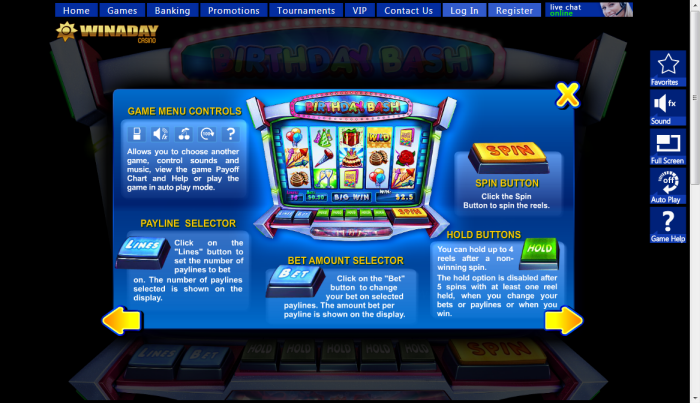 It was introduced for a huge Birthday promotion during the 4th anniversary celebrations of Win A Day Casino. The promotions included prize money for tournament winners and the game continues to give thousands of dollars in real money wins even today. 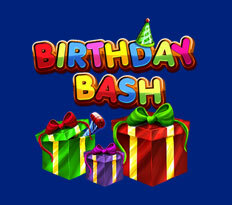 One of the most played slot games, Birthday Bash comes with a festive party theme. Wild Symbol: It is a prominent golden symbol, and when it appears it substitutes for any other symbols. This means that if the wild symbol appears with two or more other symbols of the same kind, it will help you make winning combinations. Hold Option: A fun option which increases the chances of forming winning combinations. The hold button enables you to hold up to 4 reels after a non-wining spin. Win Increasing Pick Bonus: When the red present symbol appears on the slot, on any reel, it will transform all the symbols into a red present symbol in adjacent three rows. 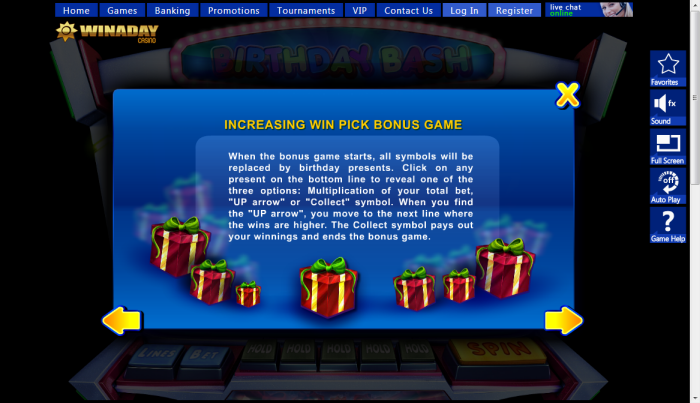 Play by picking presents and winning extra coins in this bonus game. 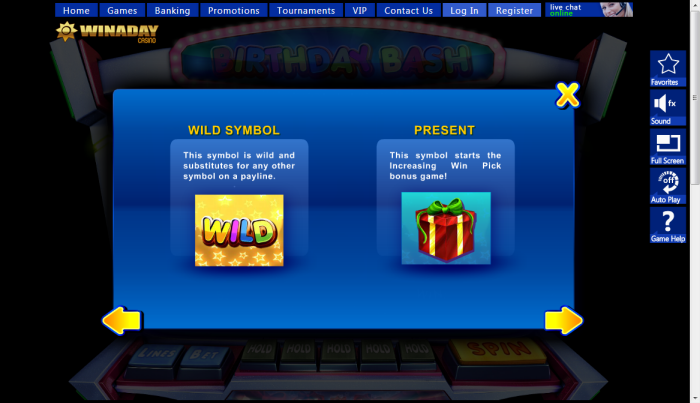 Slot Scatter Symbol: It will be visible as a birthday present, red in color and yellow striped with a green bow which is hard to miss. It triggers the pick bonus but individually does not have any payouts if it appears alone in the reel. 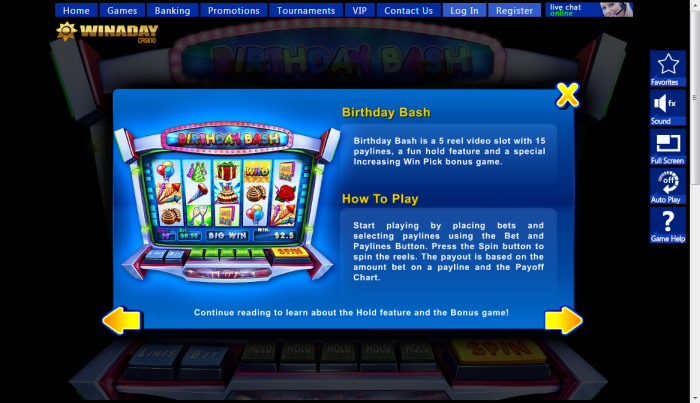 Similar Slots: If you like Birthday Bash, you might like these other slot machines from Win A Day Casino: Alice in Wonderland, Dollar Storm, Fruiful 7s, Monster Trucks, Vegas Mania.